-wards Vishwashantistup a place is located bounded by stone slabs. scripture And it was there that1.Vinay Pitak.2Sut pitak3Abhidham pitak.or tri pitak was was written and kept in Rajgir.This hill has also been reffered as “Pitpal Guha”in Budhist literature. 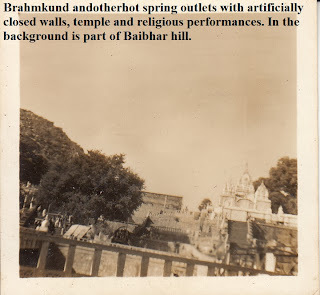 Further ahead of this there are Jain temples which are of recent nature. Mahabihar. 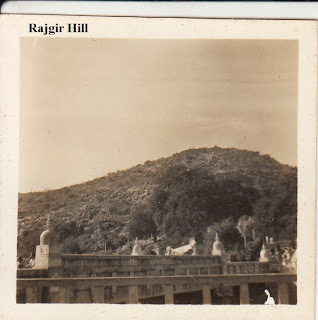 It is located near Rajgir Gaya road and Ratnagiri hill. 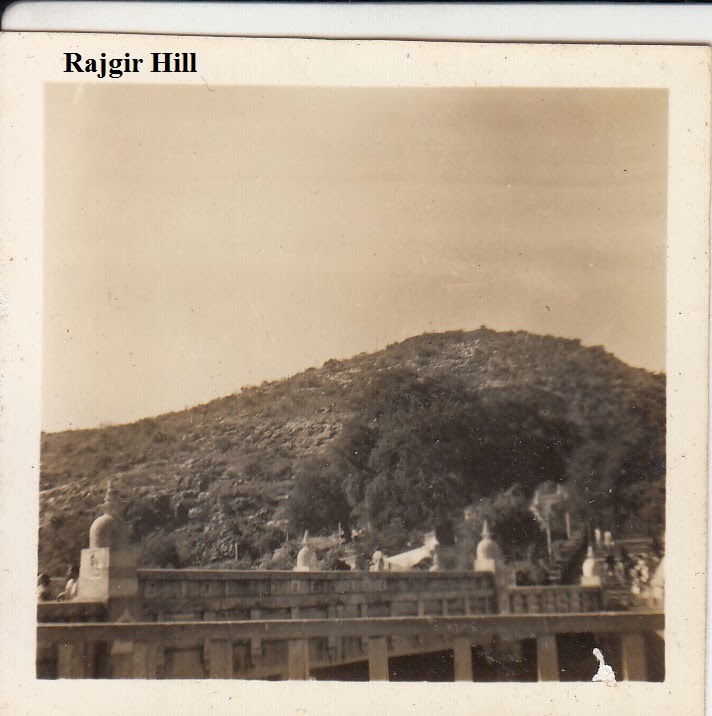 is the life line of history and geography of India so are the hotsprings of Rajgir are remnantsof witnss to its historical religious and pauranic facts. 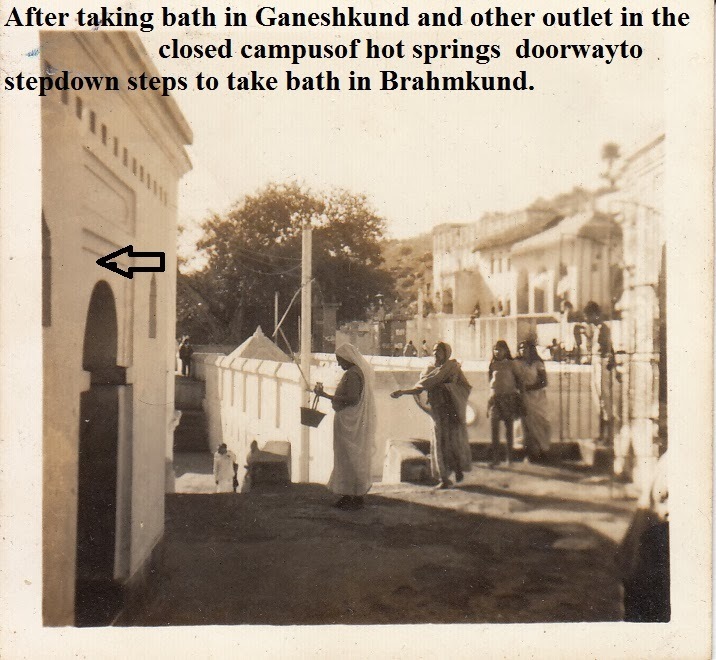 There are about 14 hot springs here. 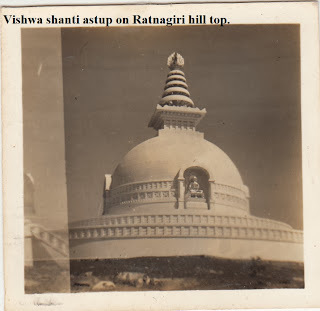 visitors.2 Makar sankrantri on 14th January.3Malmas fair after each three years when one day is added to the smallest month, the February of the year4 Rajgir mahotsaw in the month of Nov-Dec .
shubh karya(good works) like marriage, mundane, ygyopawit etc. GUIDEAnumberofguidesareavailablfromgovtagencies,privatetourism agency,and local people. Contact district public relation office for further details. PRECAUTION-The area is badly naxal affecyed . -rful future porospect for further development.